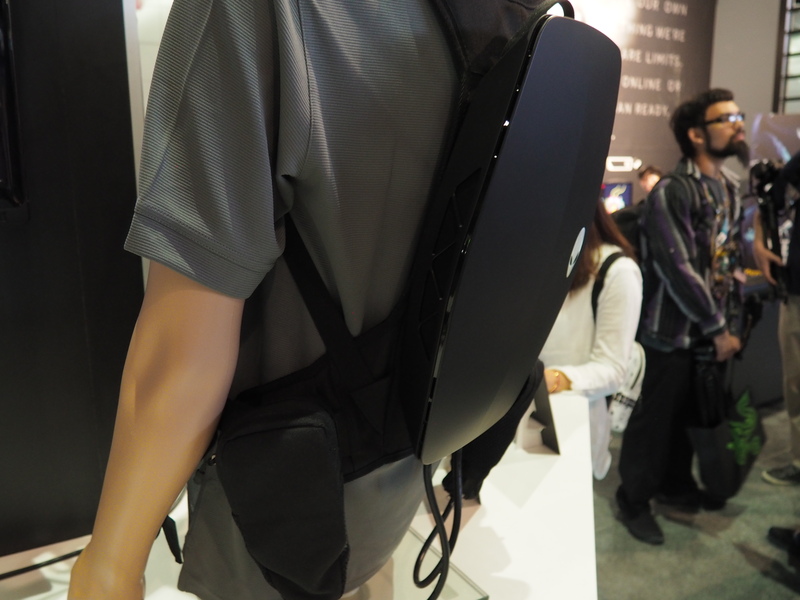 It’ll probably come as no surprise to anyone who’s been following gaming of late, but Alienware’s looking to join the likes of HP and MSI with the release of a VR backpack of its very own. The Dell-owned gaming PC maker wasn’t exactly trumpeting the device at E3, but it did show off a prototype of the proton pack, hung snugly from a mannequin in the company’s booth. This is really an exploratory project at the moment. The company is working with AMD to create the wearable VR computer designed to free players up from tethered headsets. I spoke to a rep for the company who told me that the toughest part in these early stages is the ventilation issue. Alienware doesn’t have any specific plans for release, instead the company really just wants consumers to know that they’re definitely looking into it. And at the very least, the backpack looks more slick than most of the competition, complete with the obligatory glowing alien head. Of course, it’s all relative.